A recent multicenter study published in The American Journal of Cardiology evaluated the safety and efficacy of uninterrupted apixaban versus warfarin anticoagulation in the periprocedural AF ablation setting. There were no thromboembolic events in the apixaban group or the VKA group. There were no significant differences observed in major bleeding endpoints, minor bleeding, pericardial effusion or groin hematoma. Interestingly, the heparin requirement was the same for both warfarin and apixaban; however, while the periprocedural activated clotting time (ACT) in warfarin group was significant, minimum ACT throughout AF ablation was lower. This might suggest that periprocedural apixaban anticoagulation leads to a more consistent ACT in this setting. Similar comparisons have been made with other DOACs, although study protocols may differ slightly and there is no direct comparison to assess the role, safety and efficacy of each DOAC. There has been conflicting data, with Steinberg et al,  and Sardar et al,  demonstrating an increase in neurologic complications with dabigatran compared to VKA. This is contrary to the meta-analysis conducted by Honhloser et al,  and Providencia et al,  who demonstrated no significant differences in the composite of neurologic and bleeding complications between the dabigatran and uninterrupted VKA groups. 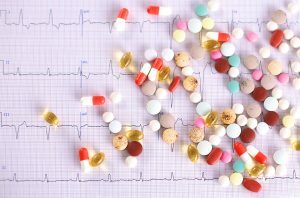 There is even less data for Rivaroxaban, although results of prospective observational  and randomised  trials with uninterrupted rivaroxaban suggest that this therapy appears to be as safe and efficacious in preventing bleeding and thromboembolic events in patients undergoing AF ablation as uninterrupted warfarin therapy. More recent data from the RE-CIRCUIT (no increase in thromboembolic endpoints; major bleeding reduction with uninterrupted dabigatran) and AEIOU (no differences in thromboembolic or bleeding endpoints with apixaban-either uninterrupted or interrupted by a single dose- or warfarin) trials are also reassuring, and reinforce that in the near future catheter ablation could possibly move towards uninterrupted DOAC anticoagulation to prevent the difficulties with variable INRs. However, one must emphasize the need for more information to guide the periprocedural use of both DOACs and VKAs in the real-world setting. Calkins H, Hindricks G, Cappato R, Kim YH, Saad EB, Aguinaga L, Akar JG et al. 2017 HRS/EHRA/ECAS/APHRS/SOLAECE expert consensus statement on catheter and surgical ablation of atrial fibrillation: Executive summary. J Arrhythm. 2017;33(5):369-409. Steinberg BA, Hasselblad V, Atwater BD, Bahnson TD, Washam JB, Alexander JH, et al. Dabigatran for periprocedural anticoagulation following radiofrequency ablation for atrial fibrillation: a meta-analysis of observational studies. J Interv Card Electrophysiol. 2013;37 (3):213–21. Shah RR, Pillai A, Schafer P, Meggo D, McElderry T, et al. Safety and Efficacy of Uninterrupted Apixaban Therapy Versus Warfarin During Atrial Fibrillation Ablation. Am J Cardiol. 2017;120(3):404-407. Sardar P, Nairooz R, Chatterjee S, Wetterslev J, Ghosh J, Aronow WS. Meta- analysis of risk of stroke or transient ischemic attack with dabigatran for atrial fibrillation ablation. Am J Cardiol. 2014;113(7):1173-7. Hohnloser SH, Camm AJ. Safety and efficacy of dabigatran etexilate during catheter ablation of atrial fibrillation: a meta-analysis of the literature. Europace. 2013;15(10):1407-11. Providencia R, Albenque JP, Combes S, Bouzeman A, Casteigt B, Combes N, et al. Safety and efficacy of dabigatran versus warfarin in patients undergoing catheter ablation of atrial fibrillation: a systematic review and meta-analysis. Heart. 2014;100(4):324-35. Lakkireddy D, Reddy YM, Di Biase L, Vallakati A, Mansour MC, Santangeli P, et al. Feasibility and safety of uninterrupted rivaroxaban for periprocedural anticoagulation in patients undergoing radiofrequency ablation for atrial fibrillation: results from a multicenter prospective registry. J Am Coll Cardiol.2014;63(10):982-8. Cappato R, Marchlinski FE, Hohnloser SH, Naccarelli GV, Xiang J, Wilber D et al; VENTURE-AF Investigators. Uninterrupted rivaroxaban vs. uninterrupted vitamin K antagonists for catheter ablation in non-valvular atrial fibrillation. Eur Heart J. 2015;36(28):1805-11. Calkins H, Willems S, Gerstenfeld EP, Verma A, Schilling R, Hohnloser SH, Okumura K, Serota H, Nordaby M, Guiver K, Biss B, Brouwer MA, Grimaldi M; RE-CIRCUIT Investigators. Uninterrupted Dabigatran versus Warfarin for Ablation in Atrial Fibrillation. N Engl J Med. 2017;376(17):1627-1636.